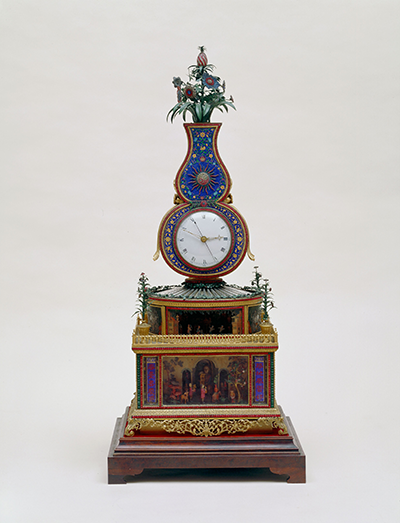 This clock demonstrates the natural landscape of a village with diversified automatons. 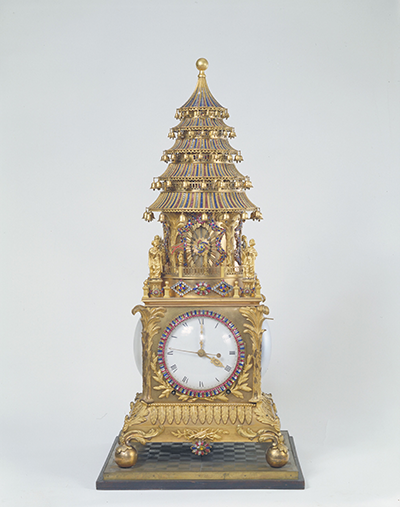 Once the clock is activated after winding, the second through to the fifth tiers of the pagoda rise tier by tier, accompanied by music. 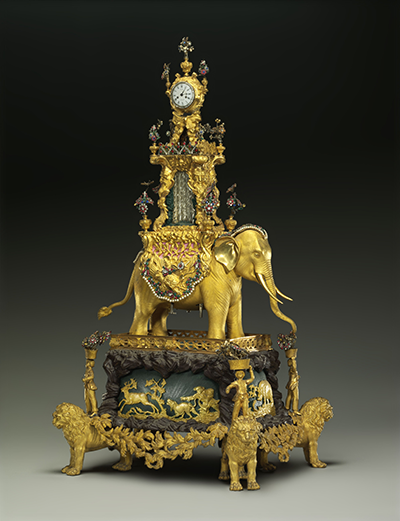 The elephant, representing “auspiciousness” as well as conveying happiness and peace, is a common decoration on western clocks. 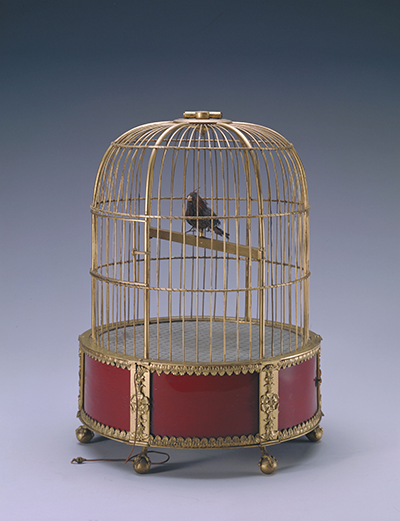 Keeping birds is a traditional recreation and form of entertainment. 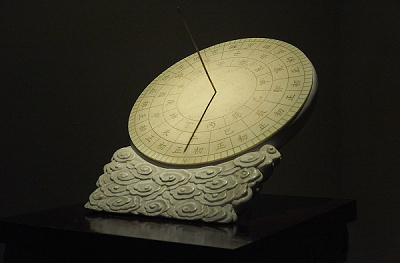 This clock was specially made to cater to Chinese preference. 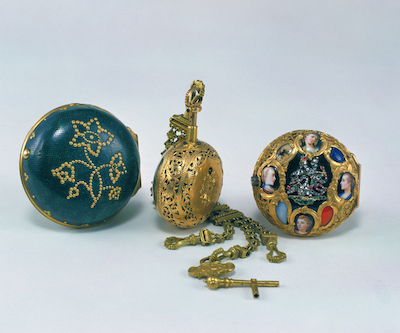 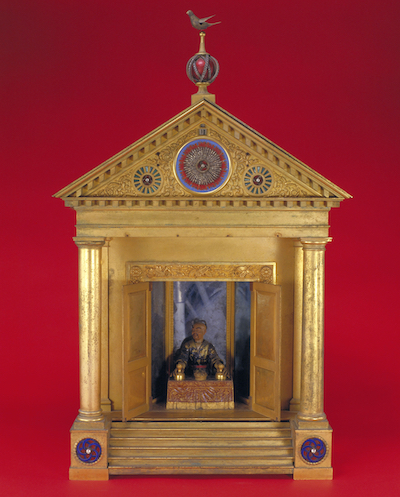 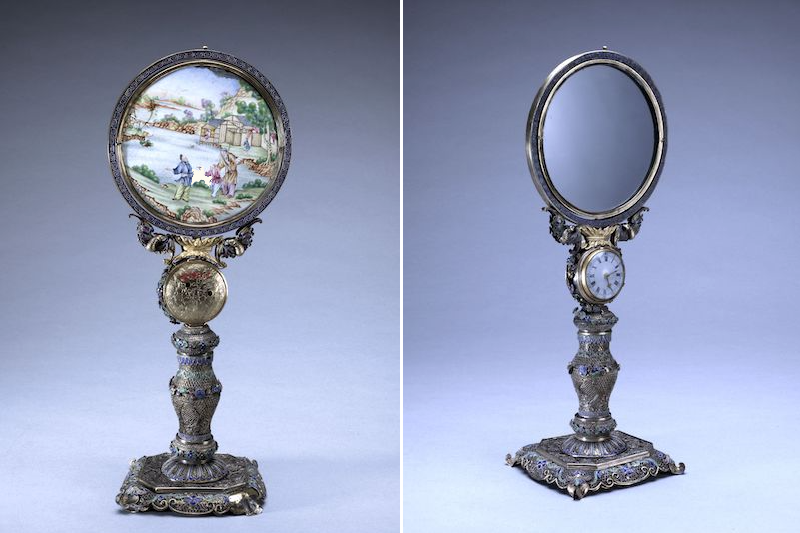 This British watch is inset with beautiful agates, lapis lazuli and paintings of women. 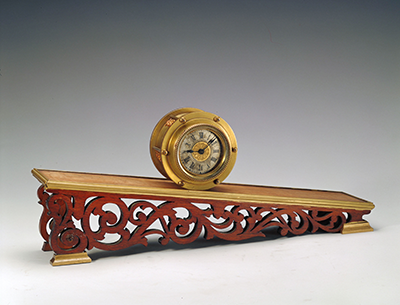 This is a spring-free mechanical clock using its own weight as the power source. 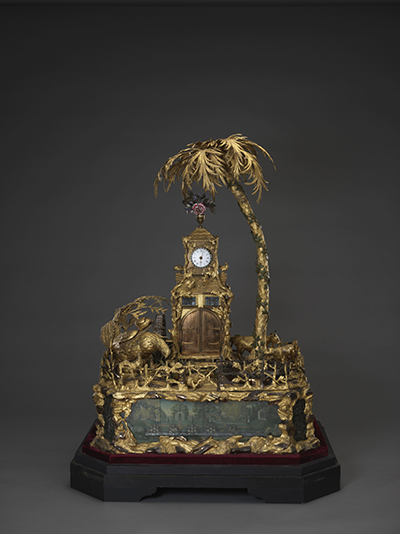 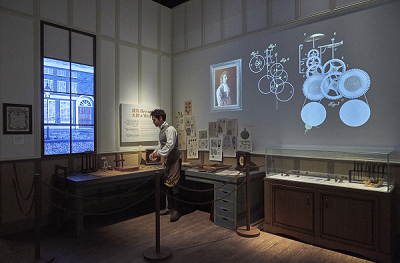 This clock has complicated mechanisms to enable it to perform a spectacular magic tricks. 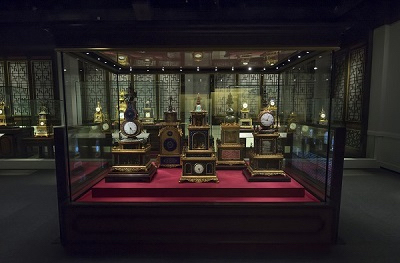 This pair of watches represents the integration of China and the West. 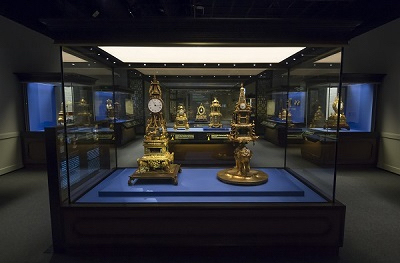 The small inset watches are made in England while the rest are made by the Imperial Workshops. 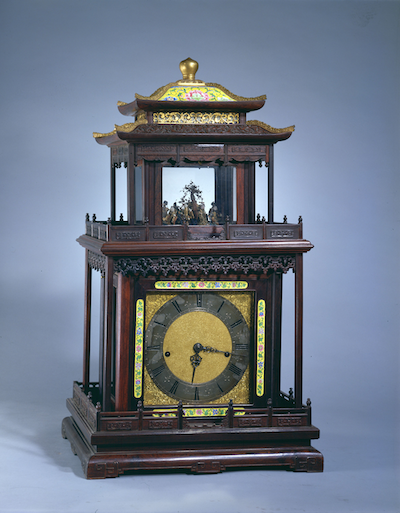 This clock is designed as a two-tiered pavilion. 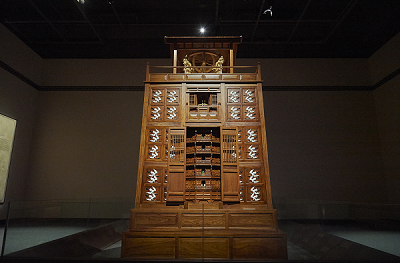 After being wound up, the Eight Immortals are moved around the god of longevity. 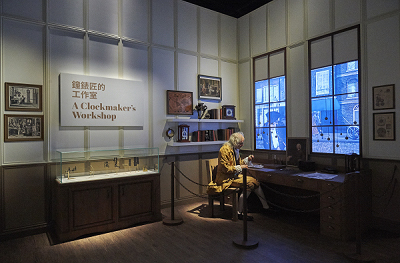 To either side of the scene, a couplet is written on a triangular copper pillar. 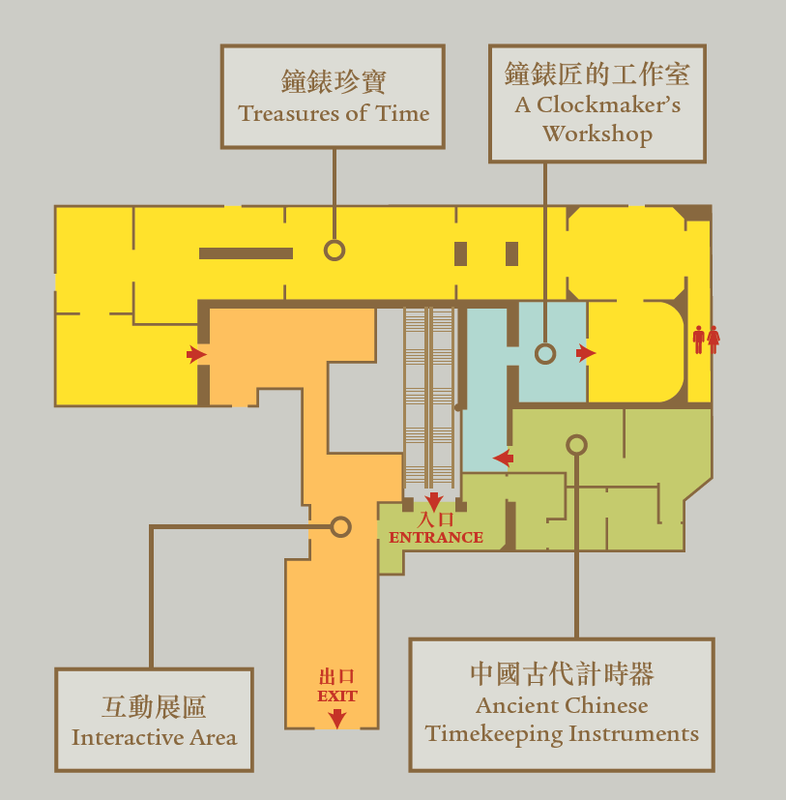 The couplet changes whenever the post revolves.